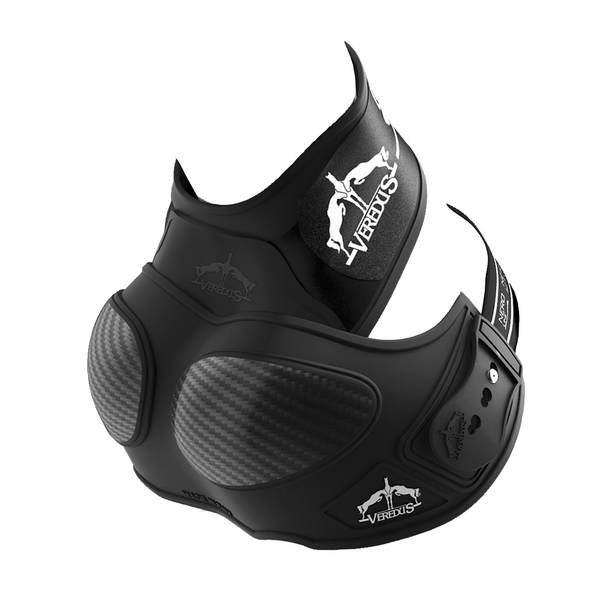 The Walsh Front Sports Boot is a lightweight, durable boot that will stand up to the demands of competition. 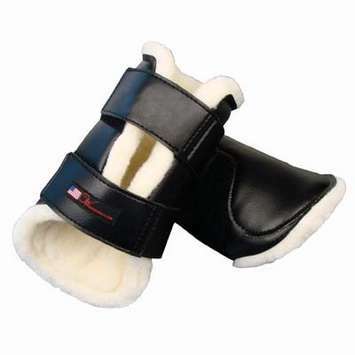 Made of a synthetic wool backed material this boot will not only protect your horse's major lower leg tendons but also look good while doing it. Walsh Harness & Saddlery has a long and rich heritage of producing peerless products known for their craftsmanship, longevity and ease of use. Founded in 1914 by John Walsh, the company grew to prominence by developing distinctive products like the innovative Walsh No-Buckle Harness. Walsh brand products are manufactured in the United States at our 40,000 square foot Brookfield, Wisconsin facility. We are proud of the workmanship of Walsh's associates who craft our products. We have a number of craftsmen with over twenty years of experience producing the products Walsh customers have come to expect. 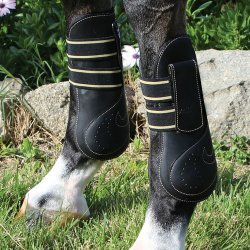 These craftsmen are supported by unique manufacturing techniques that bring you the finest equine products in the industry." Note: Boot pictured is the Black coloured boot.